The chalk cliffs of Normandy deposited in the course of a geological period, the Cretaceous, which extends from - 145.5 ± 4 to - 65.5 ± 0.3 million years ago. 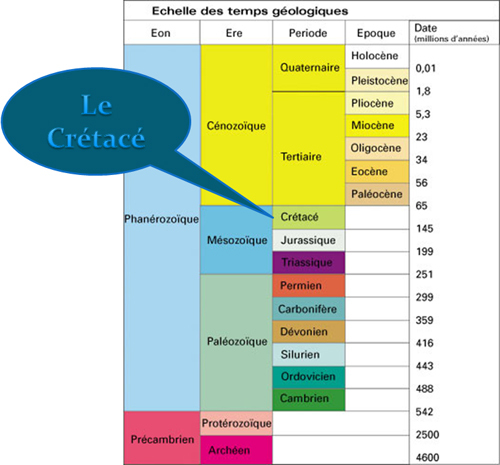 The Cretaceous name comes from the latin "creta" which means "chalk", name given by Omalius d' Halloy, French geologist. The Cretaceous in the scale of the fossiliferous times, the absolute datings are not any more the ones adopted today. 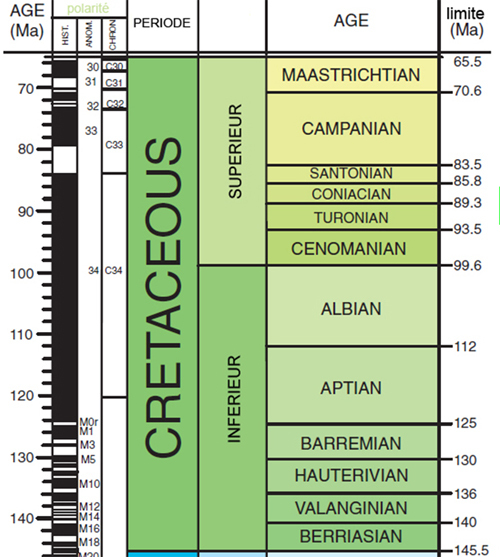 In fact, the chalk of the anglo-norman basin only extends in the upper part of the Cretaceous. 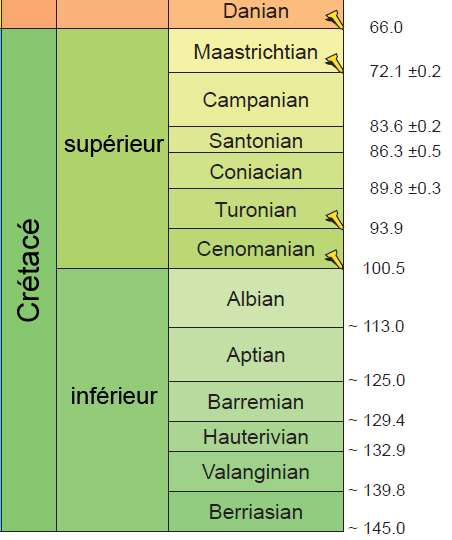 The Upper Campanian and the upper Maastrichtian are not represented in the French chalk cliffs. At the beginning of Turonien, the transgression becomes widespread.